Another month has past therefore it's time to see what I have accumulated and bought over the last month. The Wardrobe Edit #1 is available to read here, Edit #2 here and Edit #3 here. This month, I have been saving my pennies, digging out my warm winter clothes - long sleeve jumpers and thick sweaters to tackle the weather. 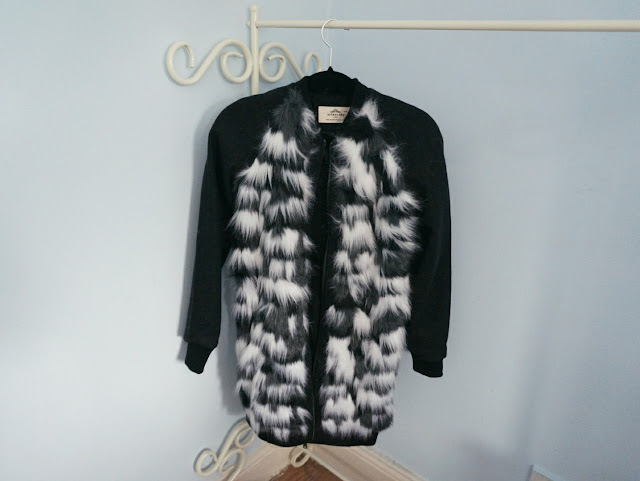 But I got sucked in by beautiful jackets, I blame ASOS's emails, therefore introducing a beautiful Urbancode faux fur coat, which I have done a outfit post on here, The coat is a dream!. 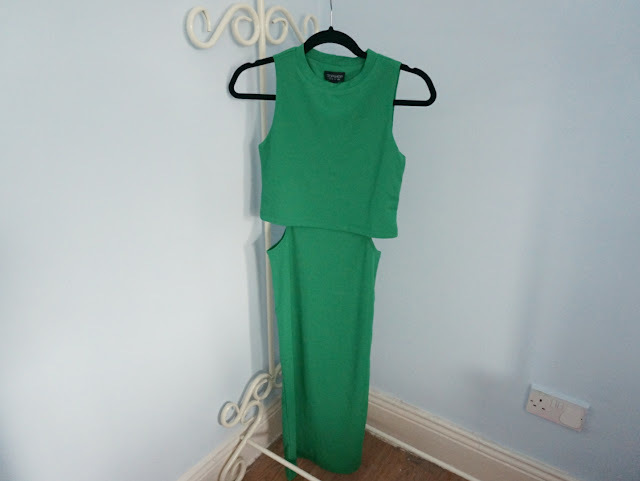 The next item is a sale pick up from Topshop, I love the black version which I have seen weeks ago in-store, and knowing me, I love green therefore I ordered this on-line, I'm just waiting on the occasion where I can wear this now. A very short and sweet post. 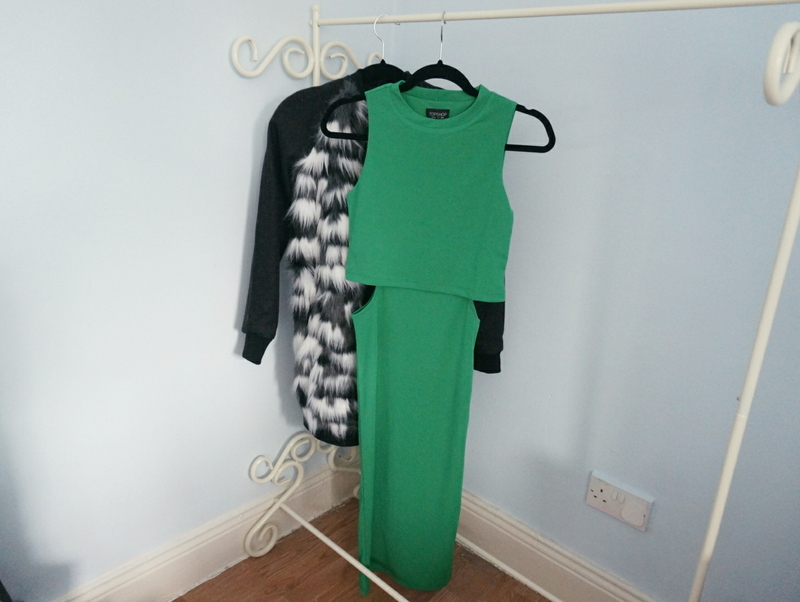 That's all for THE WARDROBE EDIT #4. What have you bought recently? Leave me a comment! Until next time. Lovely dress. 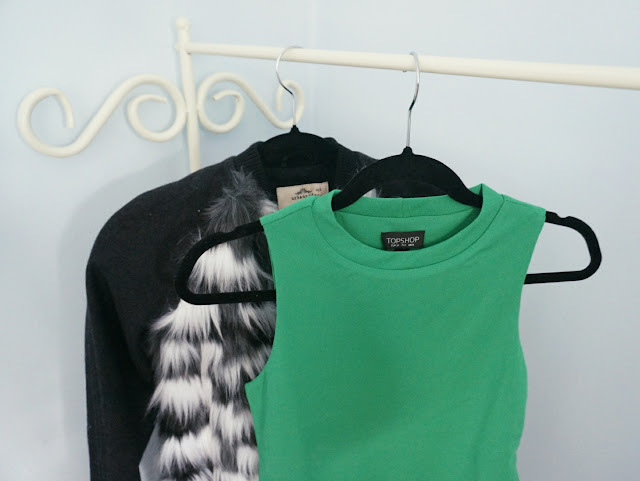 I'm a big fan of green and that will look lovely with your coat or a white tuxedo jacket and metallic accessories! That jacket reminds me of this beautiful faux fur vest that I saw in Forever 21. Now I need to go get it! That coat is perfect !